Hello Stampers! 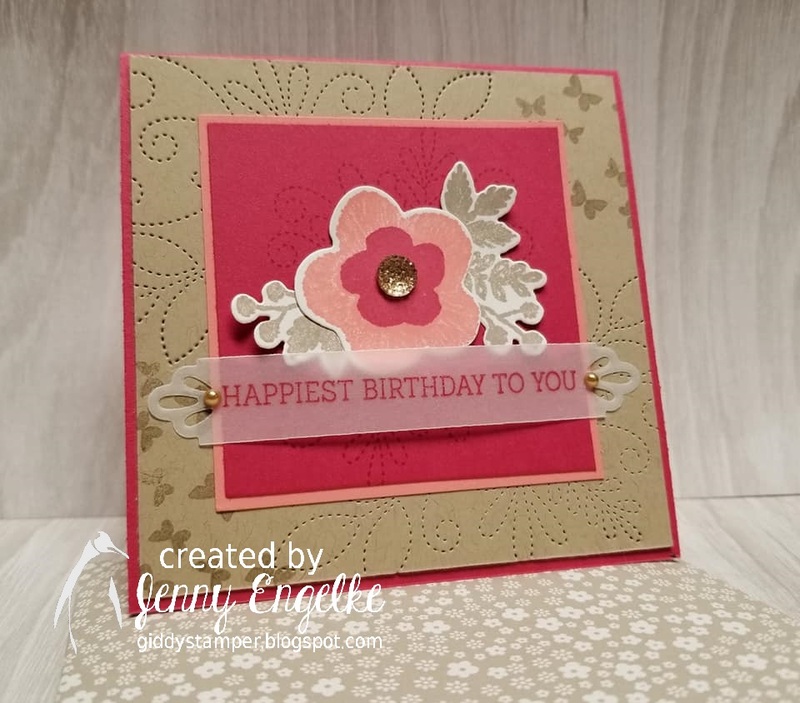 Today's card is for Create with Connie and Mary's new color challenge of Crumb Cake, Flirty Flamingo, and Lovely Lipstick. 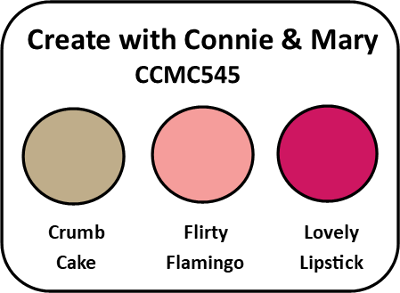 I thought these colors would go nicely with my new Occasion Catalog set called Needle and Thread and coordinating Needlepoint Elements dies. I followed the sketch from Try Stampin' On Tuesday sketch #392, and also CASEd the yellow cupcake card on Page 6 of the Sale-a-bration catalog for CASEing the Catty challenge #212. Since I made this a birthday card I'm also entering into SUOC #215: Birthdays. very pretty card. love how you added your sentiment. and the detail in the background adds a nice touch. thanks for joining us at TSOT! So pretty, Jenny - love that piercing detail - I miss our old piercing templates, lol. Really lovely colors, too! 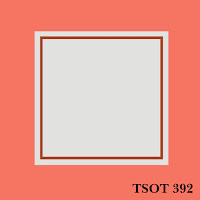 Thanks so much for playing at TSOT! Such a cute card! I love how you used the vellum for the sentiment and how you attached it to your card. Thanks for playing along at SUO Challenges! Beautiful. All that texture on the background is wonderful. I love the vellum sentiment as well. I always for get to use it. Thanks for playing along at Try Stampin' On Tuesday! Wow you die hot the nail on the head with so those challenges! Great card, I would never have thought of using those colors together, guess that's why I have challenges 😃. Thanks for joining us at Try Stamping on Tuesday. 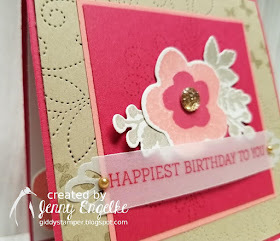 Your card is so pretty, Jenny! Love the color combo and the needlepoint element die...that is so fun! Thanks for sharing with us at TSOT! 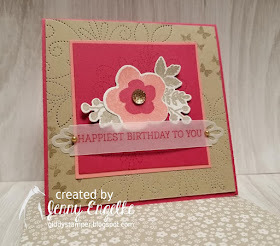 Beautiful, love the colors and that velum sentiment. This set is going on my next order! Thanks for playing along at SUO Challenges! What a beautiful card, Jenny! Great way to combine both sketches! LOve the greeting on the vellum! What a beautiful combination of colours and stamps. This is perfect for our fun Birthday Challenge. So glad you joined in the fun with us at SUO Challenges.